I think it is important that the National Trust recognises the importance of cycling as part of connecting the city to the countryside. There does seem to be a major emphasis on walking. 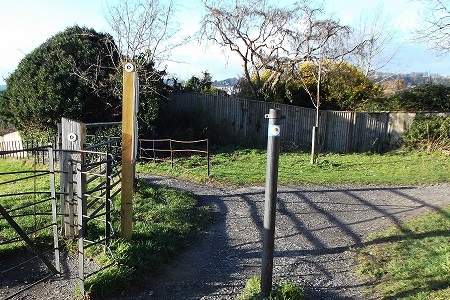 Looking at some of the images used on the BANES website of narrow meandering rough paths implying bicycles,wheelchairs, and mobility scooters are not welcome. It is important that you try and attend one of these sessions and get our voice heard. Many of these routes are being pushed as walking only routes. They should be accessible to all, wheelchair, mobility scooter, OR bicycle. The National Trust invites you to join them at one of their three ‘drop in’ sessions. This is an opportunity for them to update you on their management of the Bath Skyline and share their thoughts on work they have been doing around ‘reconnecting’ the City to its green setting. At each session they will have displays showing the findings from recent visitor research and some ideas for new walks that would connect the City to the Countryside, in keeping with its historical links. There will be opportunities for you to meet some of the staff, ask questions and share your feedback on future plans for the Bath Skyline. I’ll be going to Cornerstone. NT very good about route between CD and Claverton Down, but not keen on other routes. In fact bikes are banned from the “ParkRun” route up here. Green transport corridors must become a priority for the National Trust, the Canal and River trust, and English Heritage. I love cycling but I also enjoy nature being left as nature. I wouldn’t like to see every natural area turned into a ‘Disneyland of the Countryside’ with wide man-made paved paths, perfect fences etc. so I would go along with the emphasis on walking which is minimally disruptive. See my reply below but just to say, you’re right. It’s not about making everything wheel friendly, but about any routes that connect communities being accessible to all of the community. The NT proposal is about defining new walks using existing city infrastructure and existing National Trust land. I attended tonight to have a look at what they are planning and have a detailed discussion with Tom Boden (General Manager Bath Portfolio). What they are doing is absolutely fantastic. They are developing access from the city out to new short walks for people identifying existing routes (towpath) that can be used to access NT land. It’s the connection between the NT land and the city that I am focused on. Scenarios like the National Trust working with the Canal and River Trust to better define a walking route to NT land should not just be about improving the towpath for walking, but should also look at opportunities to improve it for bicycles/mobility scooters. Are there any plans to improve cycle routes and safety to the University from the centre? There are hundreds of bikes ascending Bathwick Hill, North Road and Widcombe Hill every day during rush hour and the journey can be extremely dangerous- negotiating relentless uni buses and impatient, tired drivers rushing to work and to drop their kids at school. The Uni is encouraging students and staff to cycle but there doesn’t seem to be any consideration of the impact of this strategy. There was talk some time ago of a cycle path from The NT gate at King Edwards, North Road , connecting to the Golf Course path, past sham castle and across to the Uni, but I don’t know where that went, or why it stalled. Not that I’m aware of. I’m trying to get cycle racks onto buses. That is probably one to raise through the student union and see what can be pushed through.